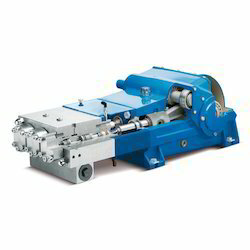 We are offering a wide range of High-Pressure Plunger Pumps. We are offering a wide range of Engine Driven Triplex Plunger Pump. Discharge Pressure hose with attachment of 1 ½’’ BSP Length 3 Mtrs. 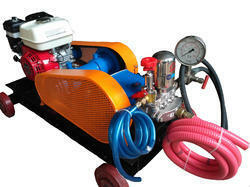 We are offering a wide range of Plunger High Pressure Pumps . We are offering a wide range of Triplex Piston Plunger Pump. Discharge Pressure hose with the attachment of ½’’ BSP Length 03 Mtrs. 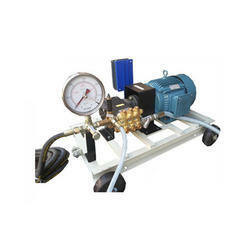 We are offering a wide range of Plunger High Pressure Pump. Pulley guard made from mild steel with powder coated. 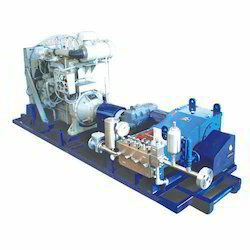 We are offering a wide range of Industrial Triplex Pump. 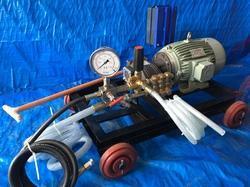 We are offering a wide range of Triplex Plunger Hydro Test Pump. 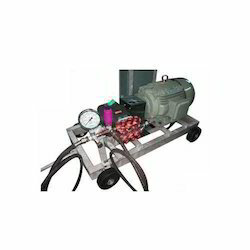 We are offering a wide range of Triplex Plunger Hydro Testing Pump. Discharge Pressure hose with an attachment of 1 ½’’ BSP Length 3 Mtrs. 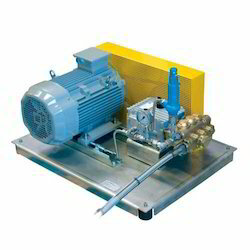 We are offering a wide range of Engine Driven Plunger Pump. We are offering a wide range of Triplex High Pressure Plunger Pump. 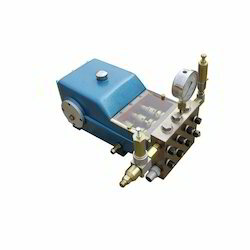 We are offering a wide range of Triplex Reciprocating Plunger Pump. 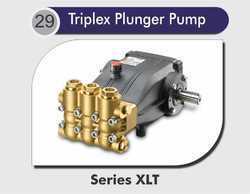 We are offering a wide range of Triplex Plunger Pumps. We are offering a wide range of High Pressure Triplex Plunger Pump. We are offering a wide range of High Pressure Water Triplex Plunger Pump. 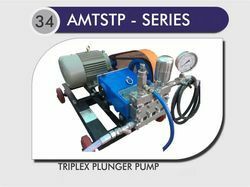 We are offering Triplex Plunger Pump. 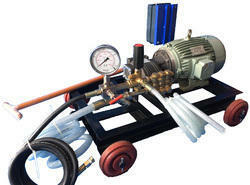 We are offering a wide range of Plunger Hydro Test Pump. We are offering a wide range of Industrial Plunger Pumps. 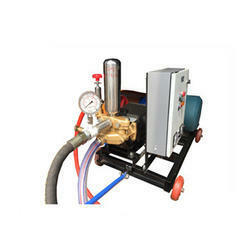 We are offering a wide range of High Pressure Plunger Pump. We are offering a wide range of Plunger Pumps. Our domain expertise has enabled us to come up with an excellent collection of High Pressure Triplex Plunger Pump. Manufactured using excellent quality material, our range is a low-maintenance solution for high pressure applications such as hydro testing, car washes, and jetting application. These pumps are supplied in different metals such as brass, forged stainless steel 304, stainless steel 316, duplex steel, nickel bronze and aluminum bronze.